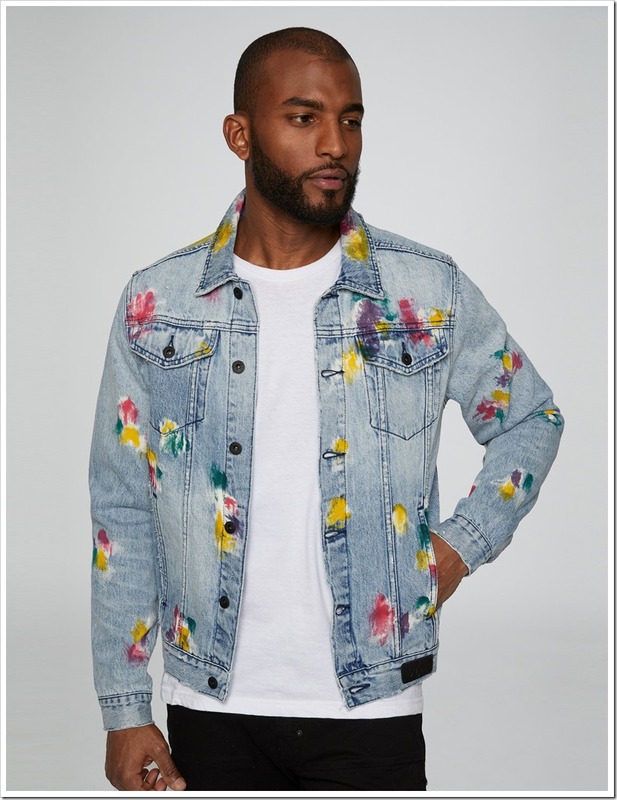 Donwan Harell comes out with some really worked upon pieces in his collections which show the amount of effort that each jeans has been invested into. 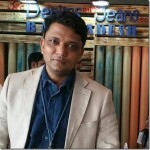 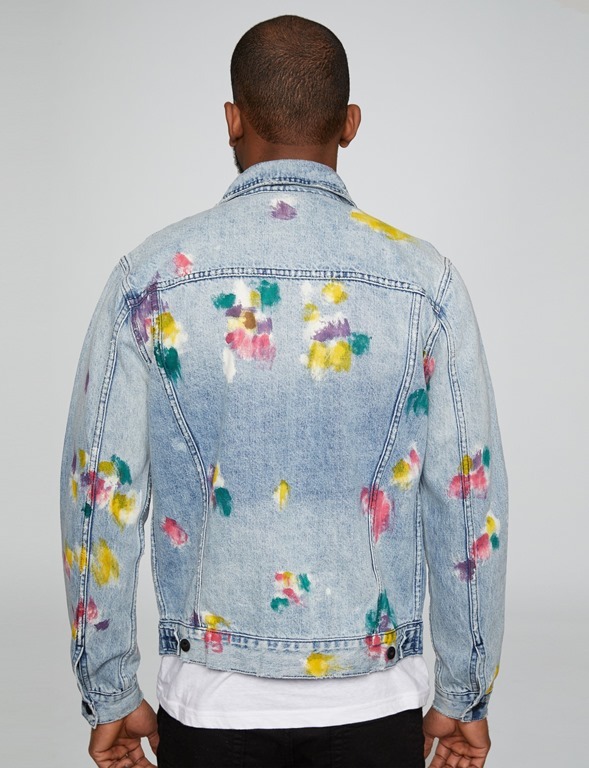 The levels of dry and wet processing on a large number of his pieces makes them outstanding pieces – like the mud jeans – which sometimes also create controversy. 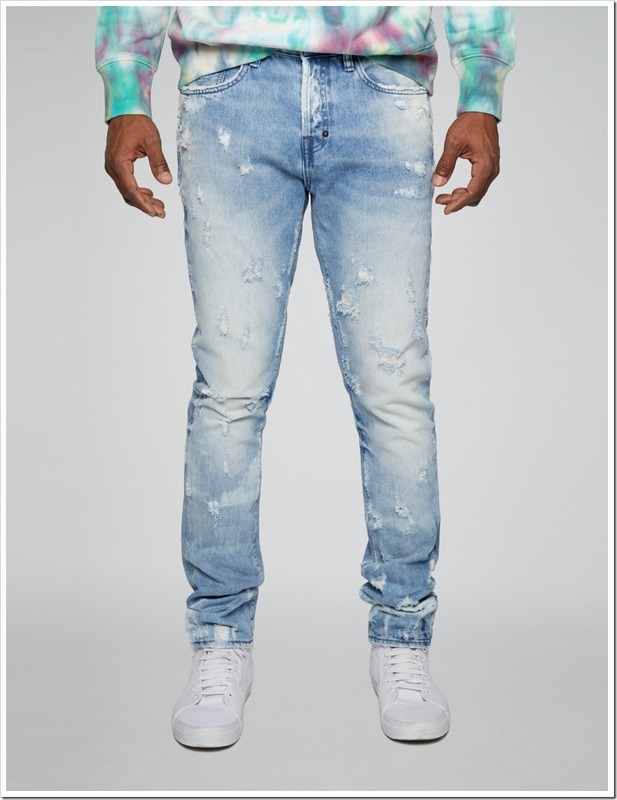 Those kind of jeans may not be the first choice for many consumers as such pieces sometimes make a statement which everyone may not like to . 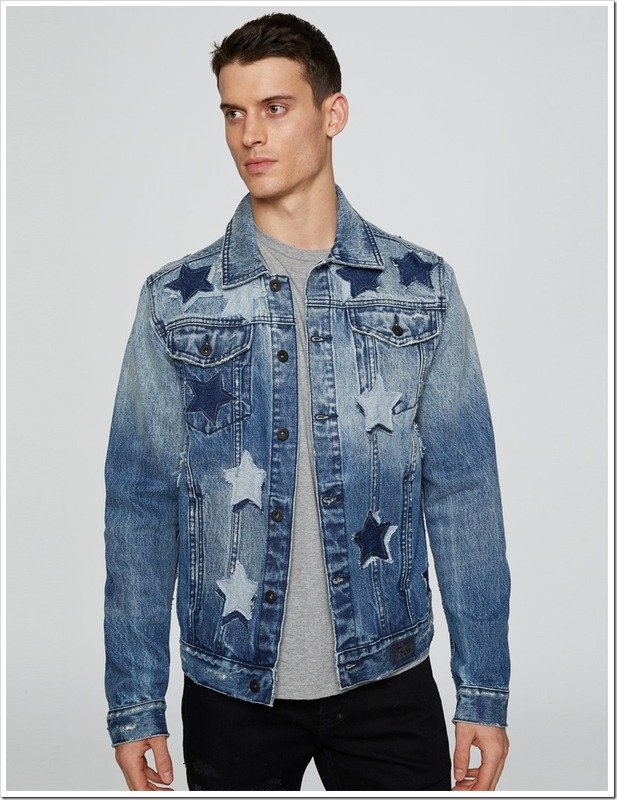 However, the SS 2018 arrivals from PRPS are more down to earth and wearable. 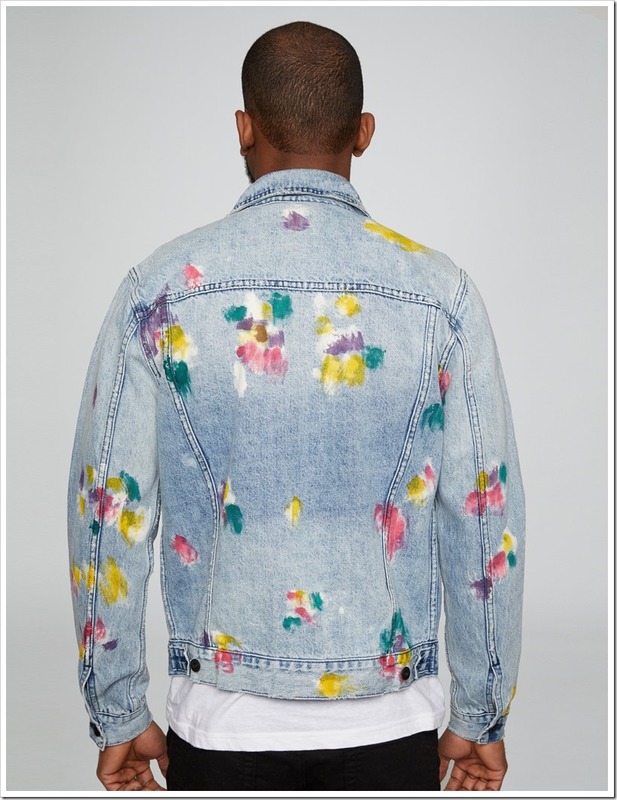 Bleach washes, rips, appliques , paint splatters , 3D wrinkles, aged raw denim looks and other effects define the SS 2018 pieces. 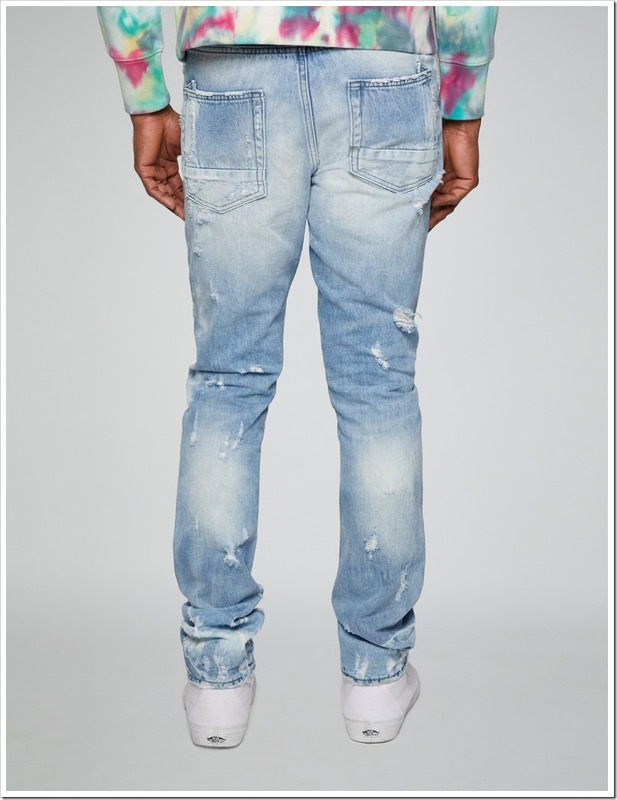 Paint splatter colors might be a bit too flashy for men, but choices are individual ! 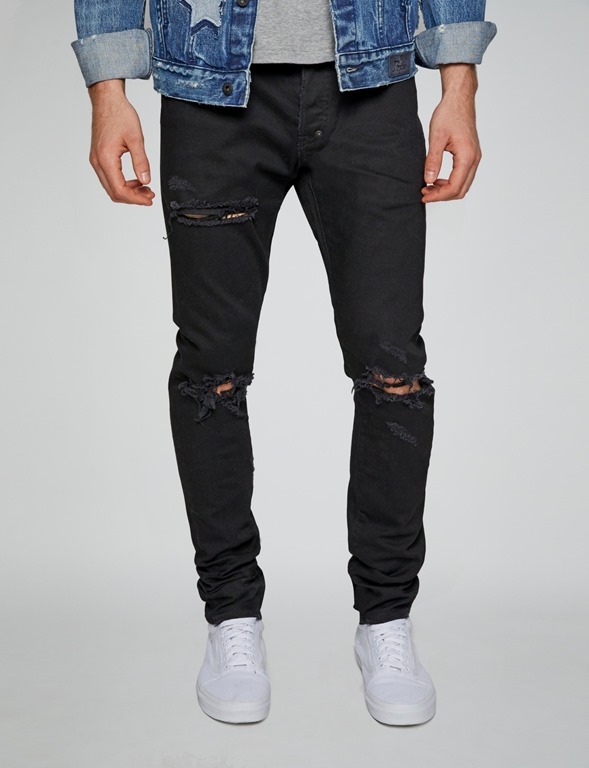 Black denim jeans with rip detailing and featuring zips along the inseam. 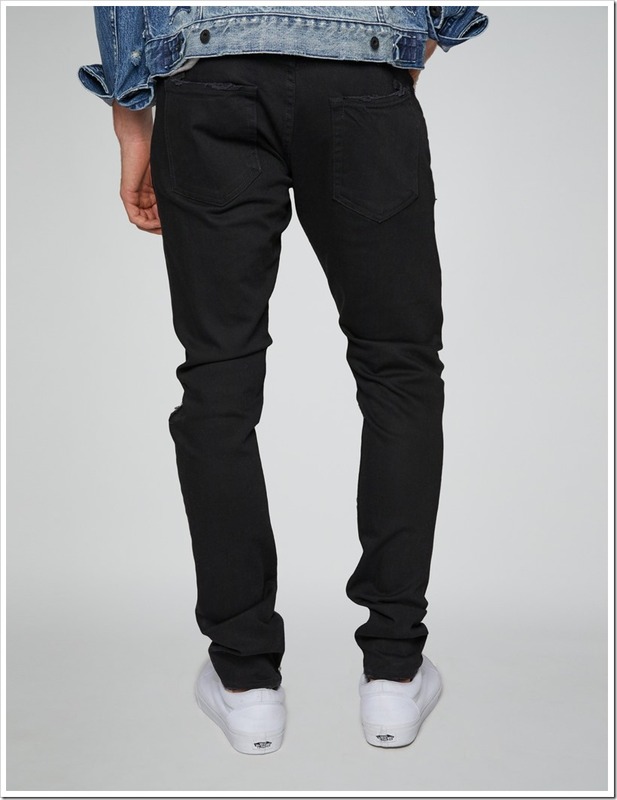 Finished in 5-pocket styling. 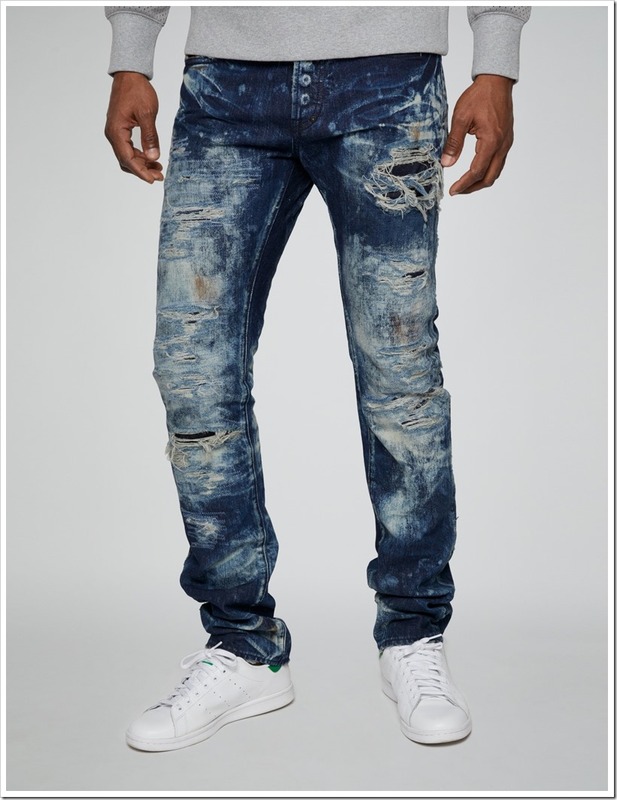 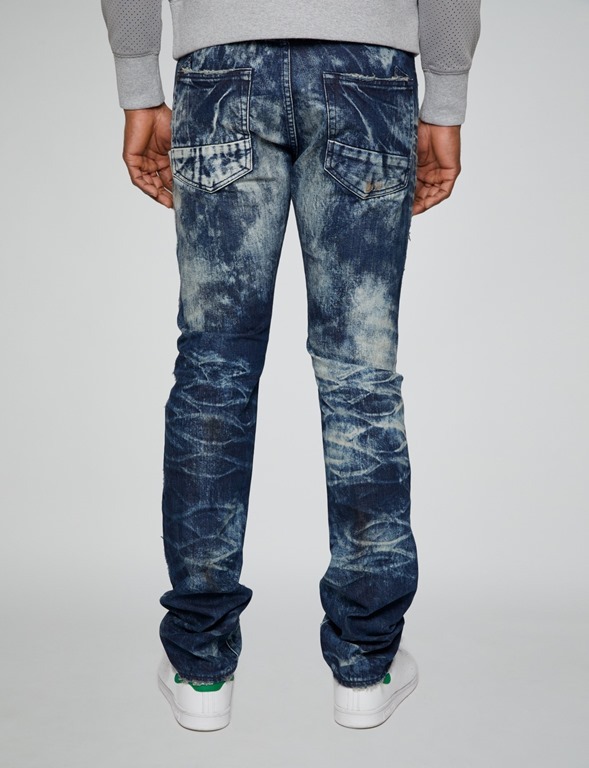 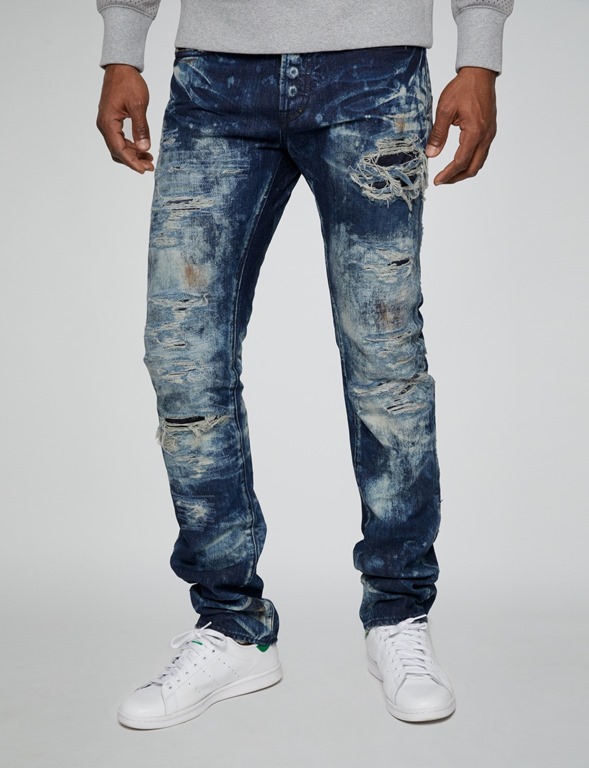 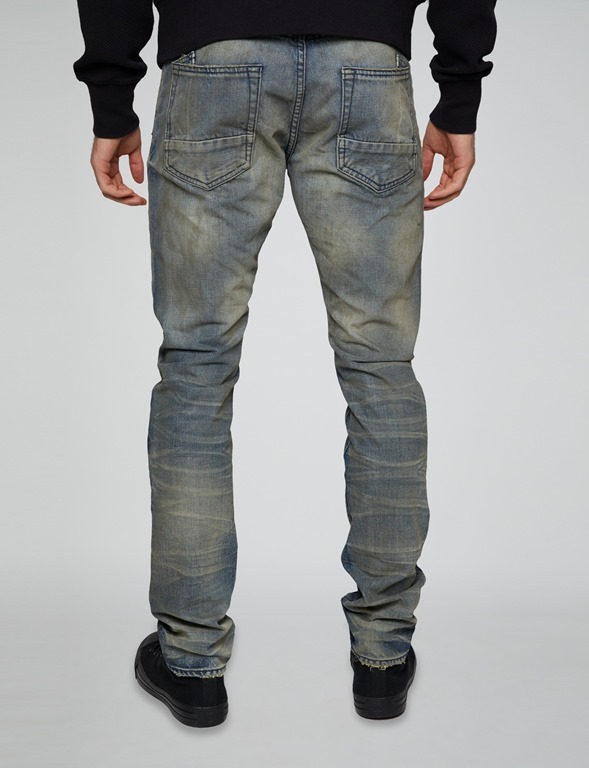 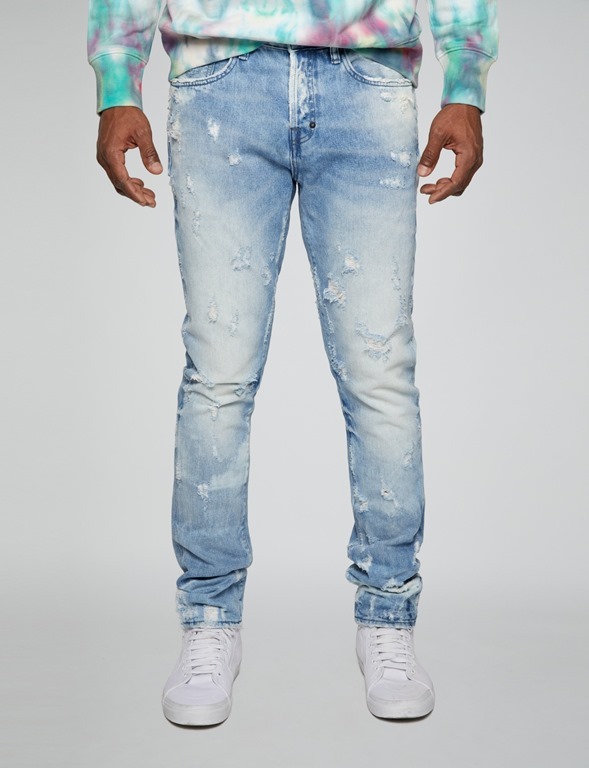 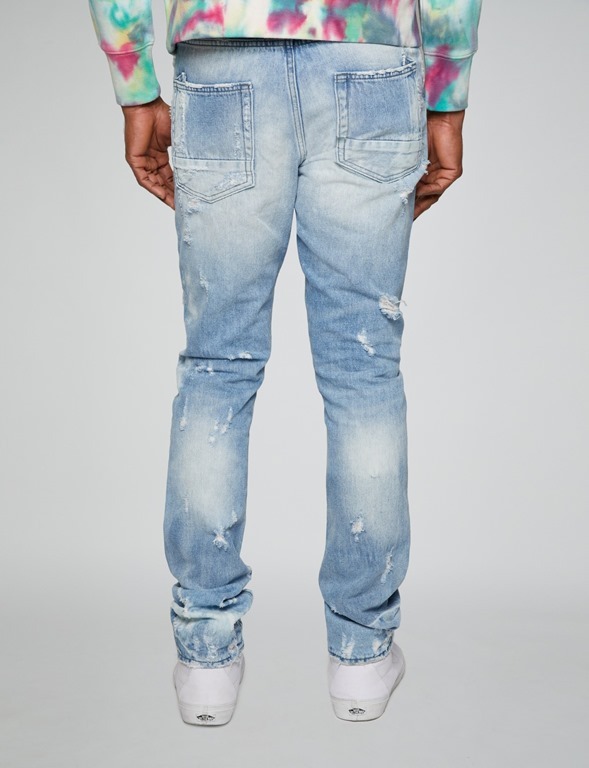 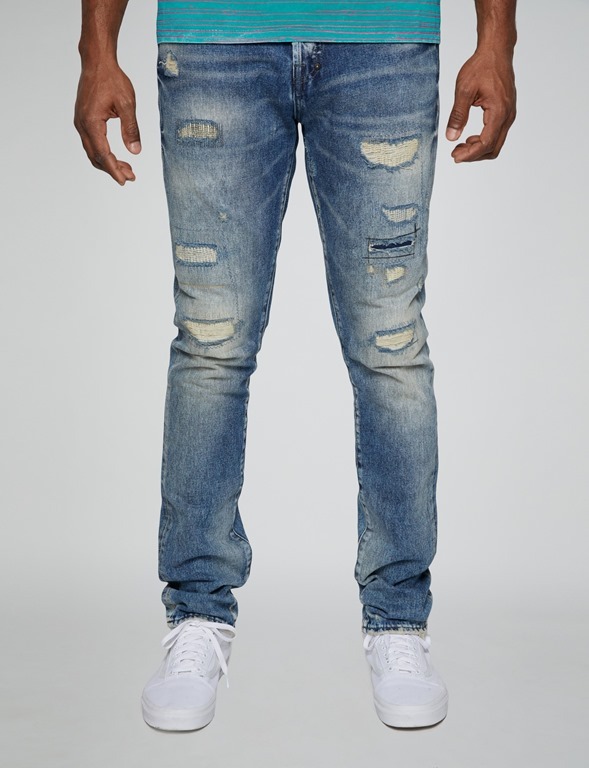 Light wash denim jeans featuring a pigment spray and heavy rip and repair. 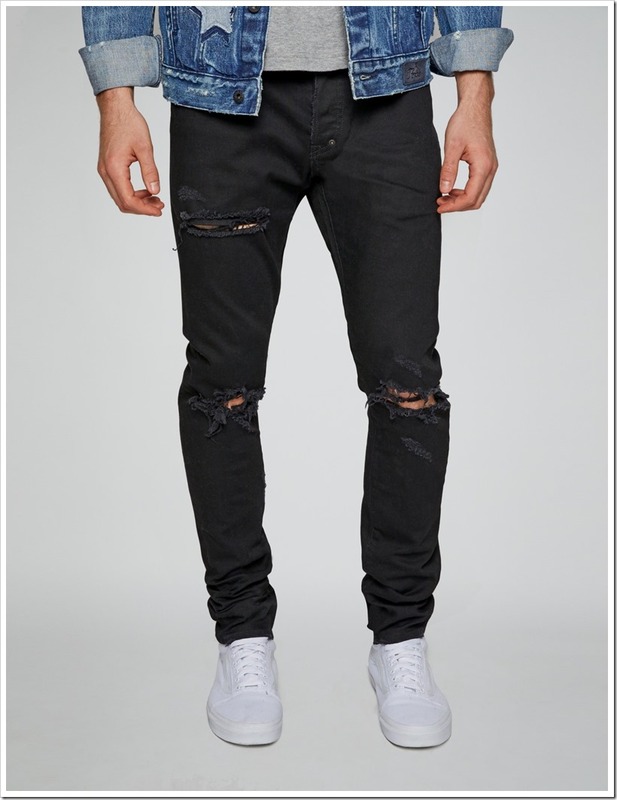 Finished with frayed hems and 5-pocket styling. 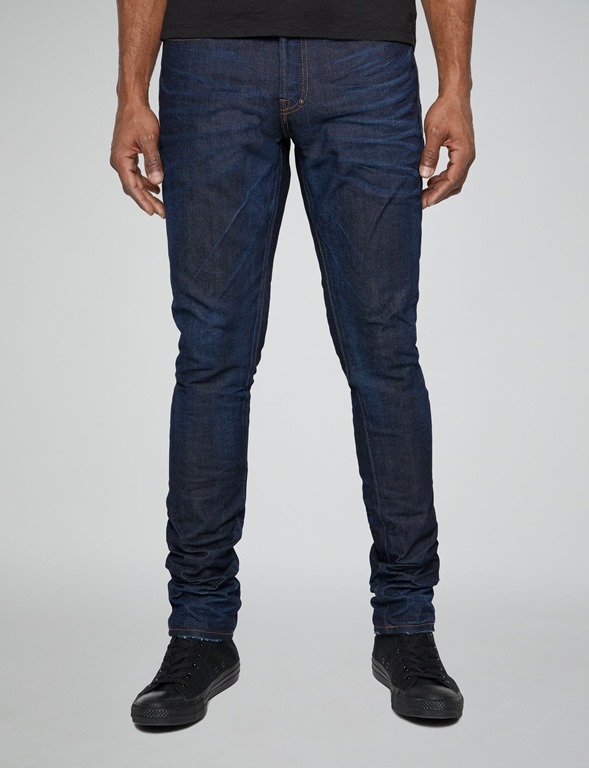 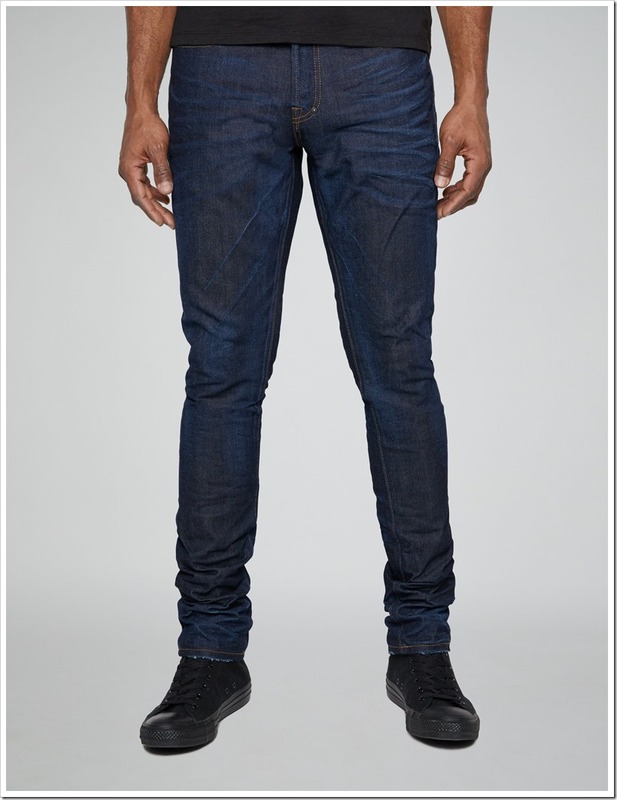 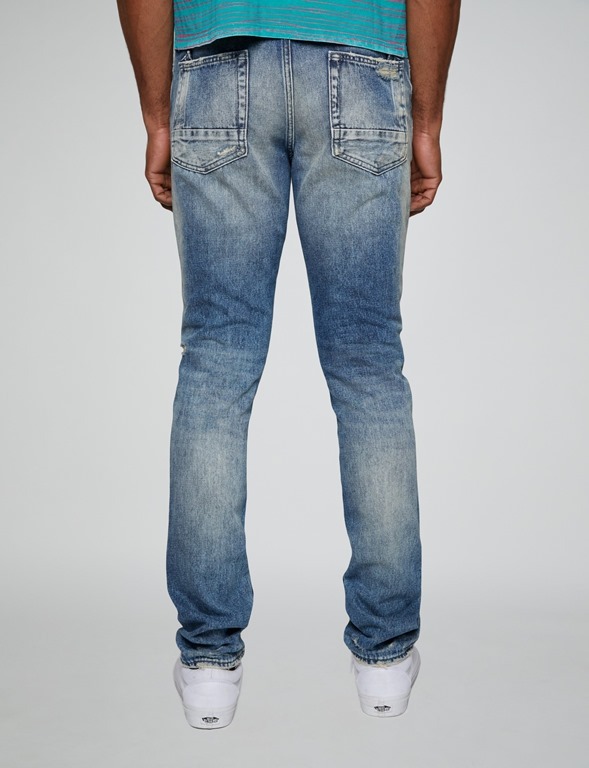 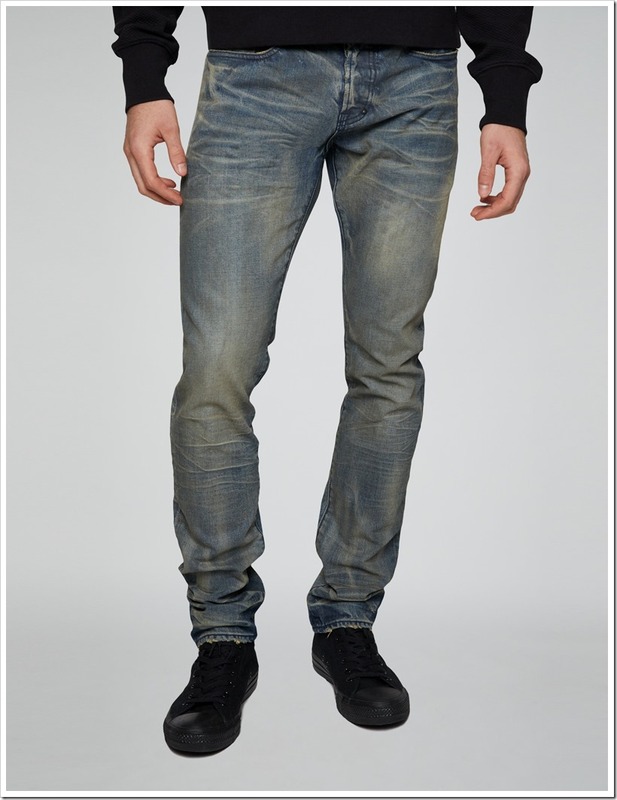 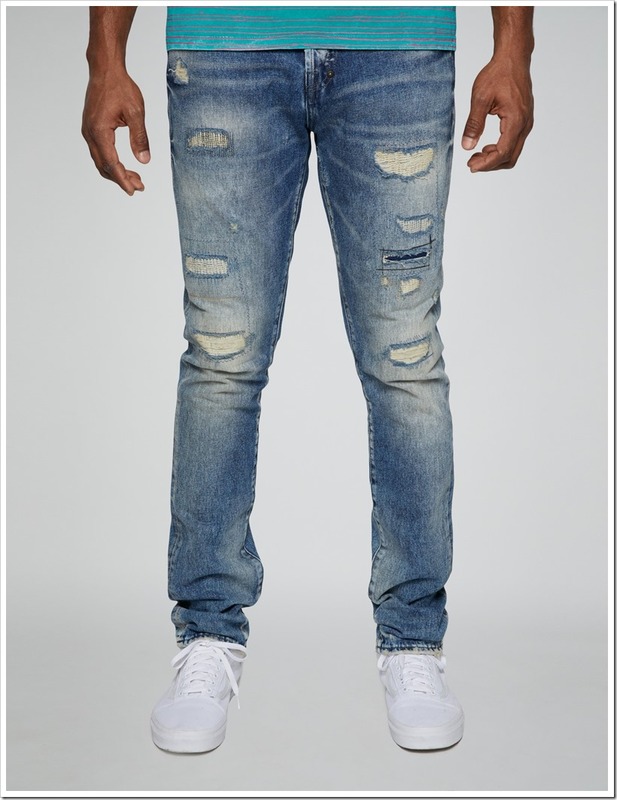 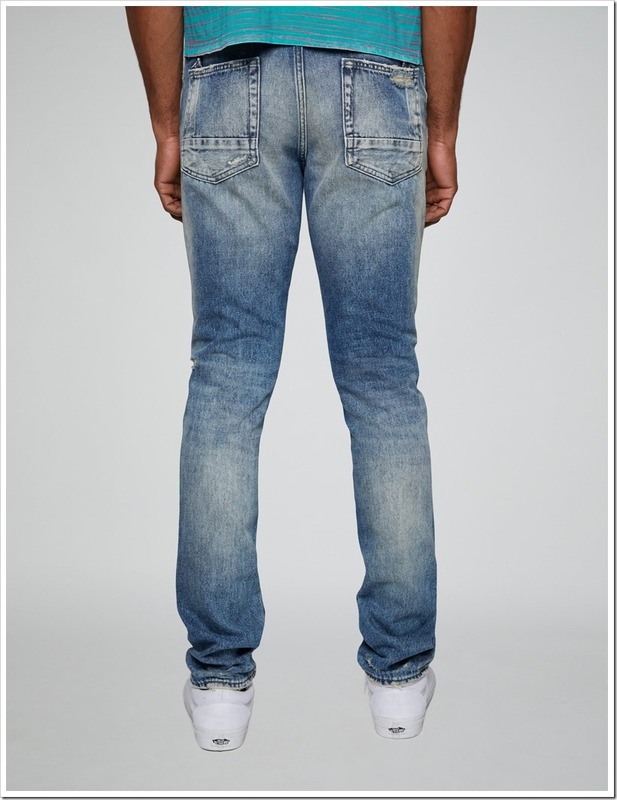 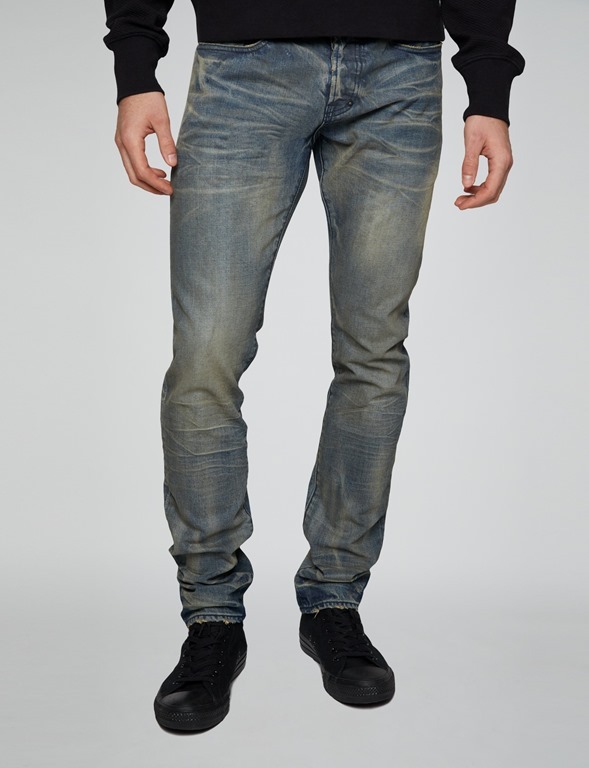 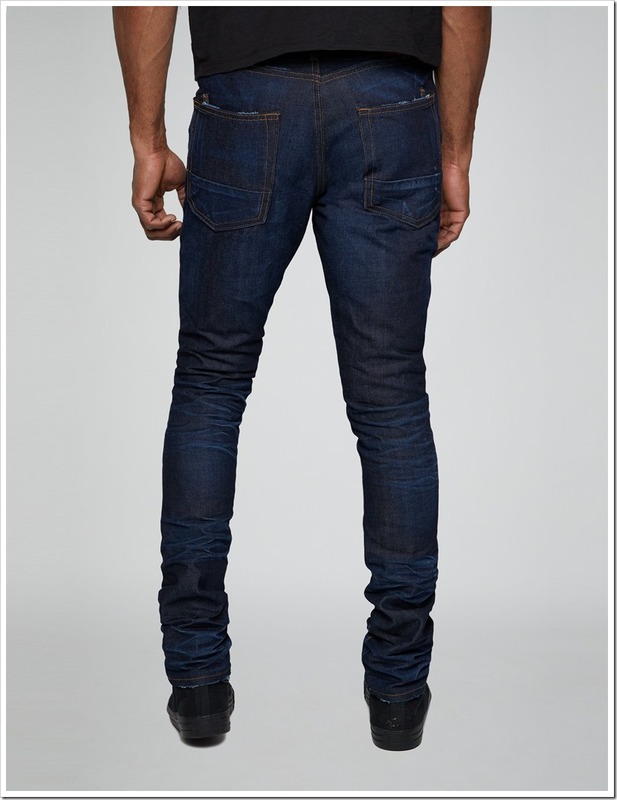 Classic 5-pocket jeans treated with a light wash and featuring rip and repair detailing with subtle whiskering. 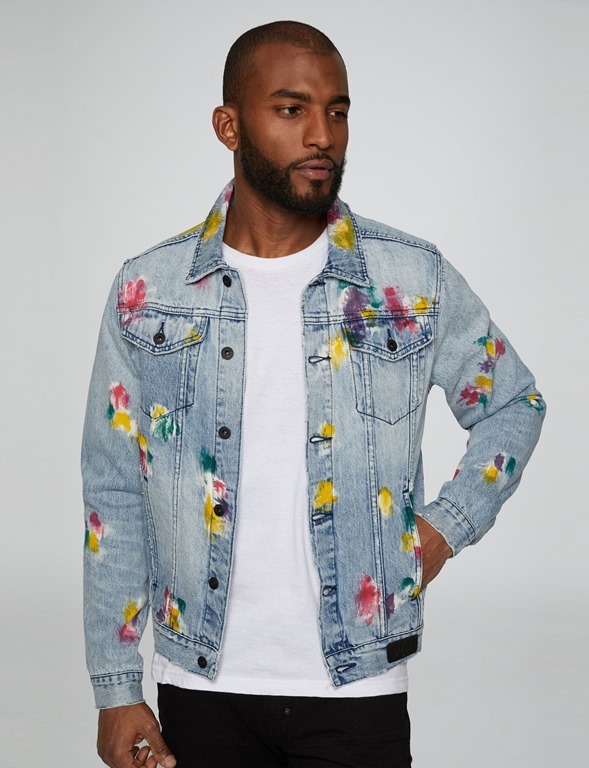 Indigo jeans jacket featuring a paint splatter design and slightly frayed edges. 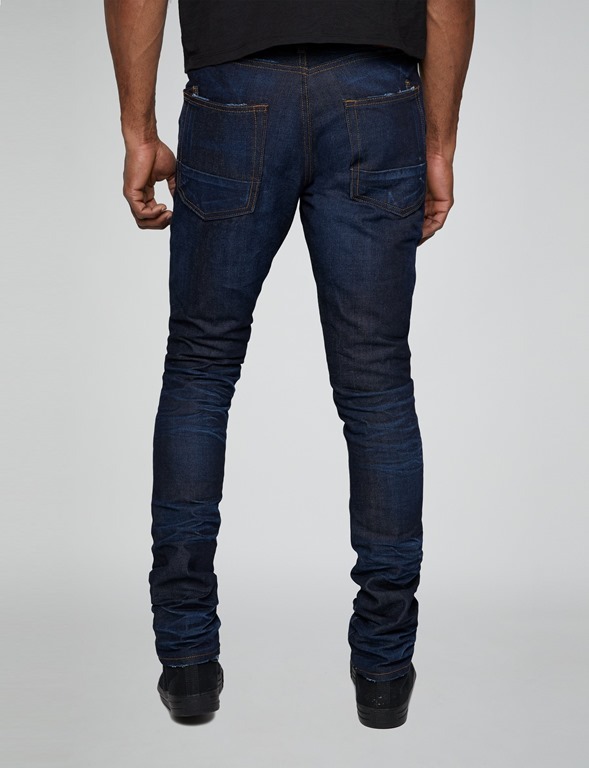 Finished with chest pockets and a dark copper button front closure. 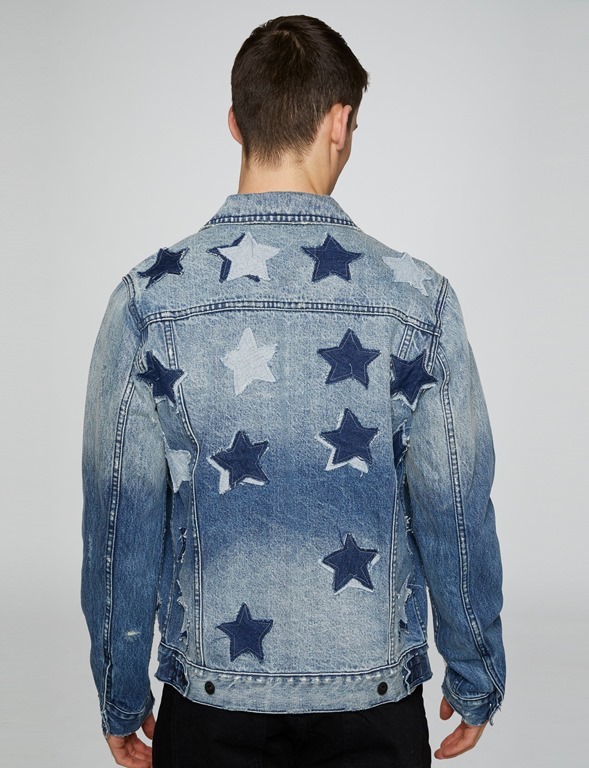 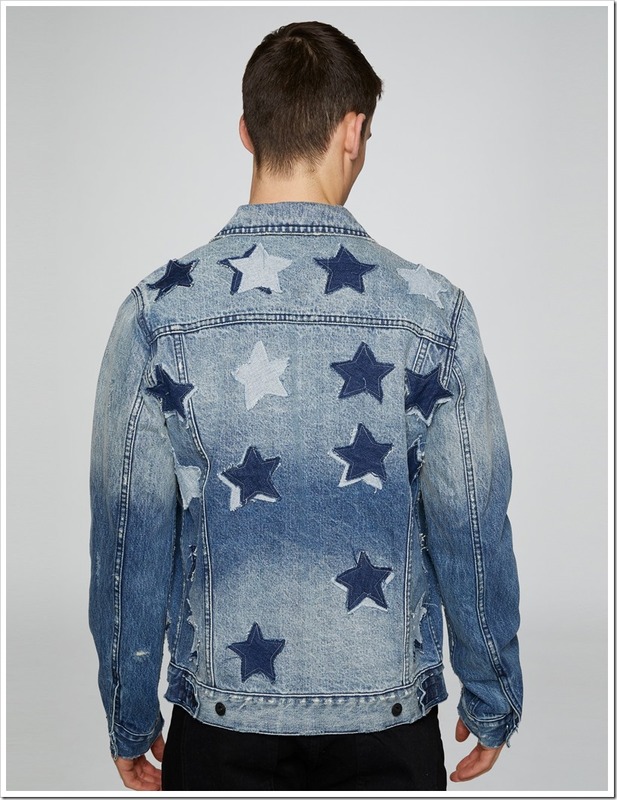 Bleached out indigo jeans jacket featuring a denim star patch applique and slightly frayed edges. Finished with chest pockets and a dark copper button front closure. 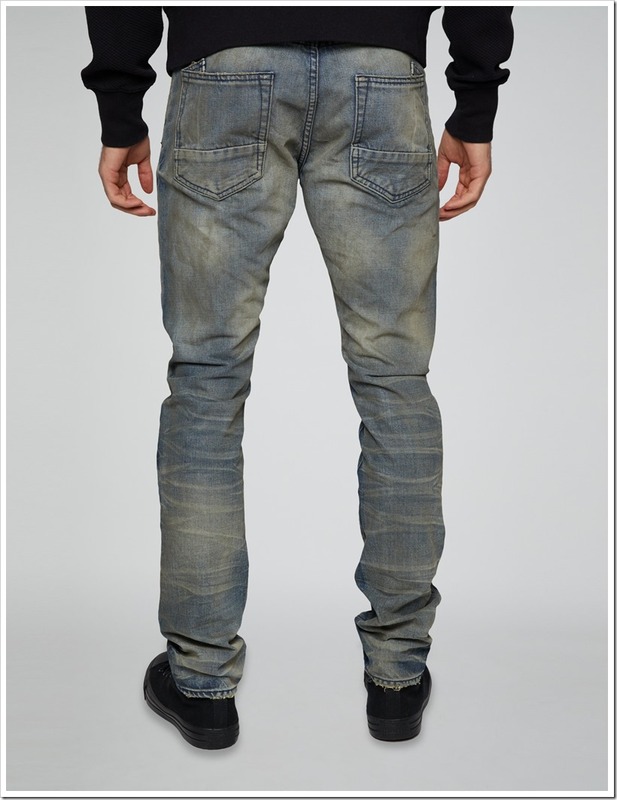 6 month wash jeans with slight whiskering.